Beyond Pink, a local non-profit and 501(c)3, is hosting their 9th annual designer Bra Fashion Show this Saturday, night at The Davenport Grand Hotel from 5:30-10pm. At 5pm, the doors will open to a fabulous silent auction with hundreds of items, no host bar and plentiful hors d'oeuvres. At 7pm the live show and auction will begin. Talented local artists and designers will once again show off their best. Their themed packages will be auctioned off one by one as the evening continues. The event will wrap up with an after party where all are invited. 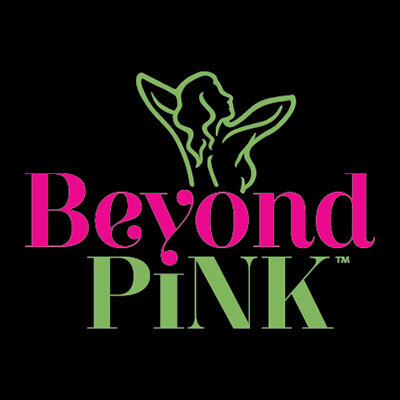 Hundreds will turn out to support Beyond Pink - and 100% of the net proceeds will go towards funding for women who cannot afford thermography. To date, the charity has helped over 1,250 local women in the battle against breast disease, a number not lost on those behind this event's success. The last event raised over $188,000, which will now go directly to help women in our community. Go to beyondpink.net for more information and tickets. Meridian Construction & Development has just completed the extensive remodel of the 518 Building located at 518 West Riverside. The building comprises an Indaba Coffee Shop on the main floor with co-working tables and conference rooms. 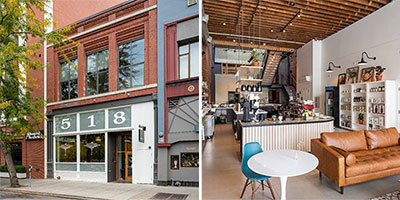 In addition, the multiple upper floors were remodeled to executive independent offices and spaces for other businesses like Bend & Sway, Inter Urban Development and others. Meridian is a local general contractor that has been in business for over 17 years. Meridian has built recent well-known projects such as Spokane Teacher's Credit Union, Banner Bank and Spokane City Credit Union, Hayford Crossing Shopping Center and Dealer's Auto Auction. The website is meridanco.com. The Inland Northwest Blood Center is undergoing a name change to Vitalant. They have donation centers in downtown Spokane, North Spokane, Spokane Valley, Coeur d'Alene, Moses Lake and Lewiston, with mobile blood drives held throughout the region. The website is vitalant.org. Annie Gannon has joined the City of Spokane Valley as the public information officer. Gannon was previously the communications manager at Community Colleges of Spokane. 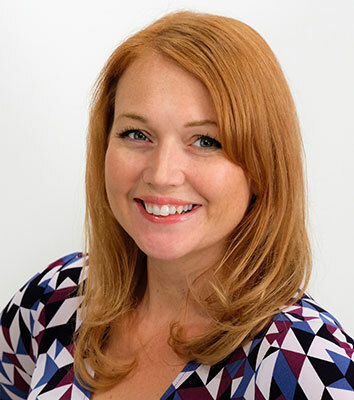 She holds a bachelor's degree in journalism from the University of Idaho and a master of public administration from Portland State University. Spokane's Roast House Coffee Company brought back 6 new medals from the 2018 Golden Bean North America Coffee Roaster's Competition, the largest coffee competition in the world. They won a gold, a silver and four bronze medals. 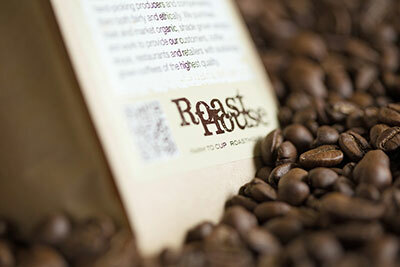 Learn more at roasthousecoffee.com. You can help support Sacred Heart Children's Hospital's Arts in Healing program throughout the month of October with your favorite bowl of soup. Soup for the Soul, an annual month-long fundraiser, takes place every Wednesday at select restaurants throughout the Spokane area, with some venues participating every day of the month. Arts in Healing provides children staying at the hospital with creative therapy including visual arts, creative writing, music and dance. Research shows these therapies can help reduce stress and anxiety, lower blood pressure, minimize the need for pain medications and promote overall well-being. Participating restaurants pledge a portion of their Wednesday soup sales or a minimum $200 donation. 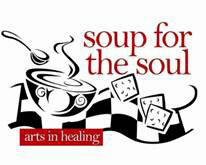 Soup for the Soul has raised more than $35,000 in the past nine years, with last year's total at more than $5,000. *Restaurants will be donating proceeds during entire month of October; not just on Wednesdays. Architects West is celebrating 45 years of service for clients and communities located in Washington, Idaho, Oregon and Montana; and scattered projects throughout the United States. Founded in 1973, the firm has built a reputation for providing outstanding service, positive resource stewardship, and enhancing lives through architecture. Architects West, employee owned and operated, offers both in-house Architecture and Landscape Architecture/Land Planning services for educational, commercial, civic, institutional and tribal projects, among others. Located in Coeur d’Alene, Idaho, Architects West is incorporated in the State of Washington as an Employee Stock Ownership Plan (ESOP), governed by a board of directors composed of principals. 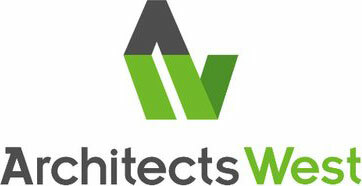 Learn more at www.architectswest.com. During the month of October, Second Harvest is partnering with Darigold and area high schools this football season to increase public awareness of hunger issues and raise funds to provide food to those in need. 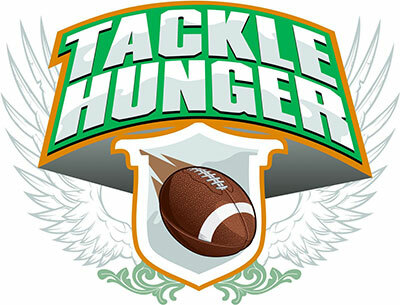 As part of the campaign, each area high school will select a football game in October to be their 'Tackle Hunger' matchup. Schools will encourage students, parents and faculty to bring at least $1 to the game or to a collection site at the school during that month as their donation toward tackling hunger in the community. Providing community education, patient care services and supporting cancer research initiatives to those affected by cancer, Summit Cancer Foundation, will have its Stronger Together Gala, this Friday, October 5 from 6-10pm at CenterPlace Regional Event Center in the Spokane Valley. This special evening will include a silent auction, delicious dining, live music and dancing. Visit summitcancerfoundation.org for tickets. Tickets are $125 each. "In the long run, you hit only what you aim at. Therefore, aim high."